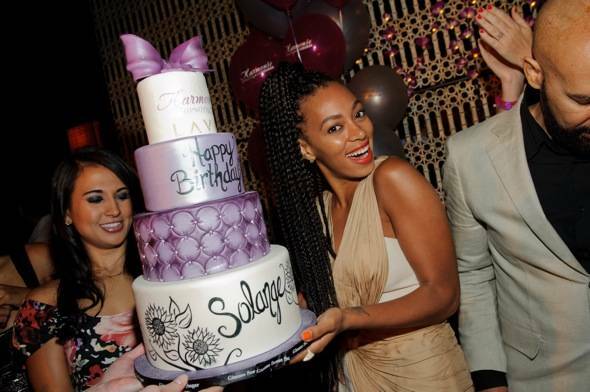 Solange Knowles, sister of Beyonce Knowles, celebrates her birthday at Lavo Nightclub. 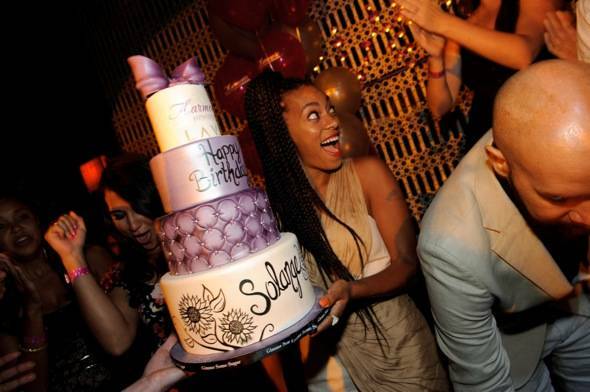 Friday night, Solange Knowles celebrated her 25th birthday at Lavo at the Palazzo. 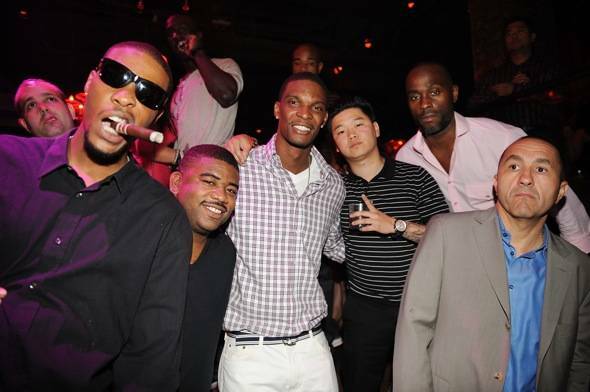 Joined by 20 friends, Knowles dined at the Italian eatery, enjoying signature dishes in the private dining room. After dinner Beyonce Knowles’ sister headed up to a balloon-filled VIP table in the club where she danced and sipped Hpnotiq Harmonie cocktails. The birthday girl loved her three-tier cake and was smiling all night long. She wrapped up her night with a stop at Marquee at the Cosmopolitan where she danced until the early hours of the morning. 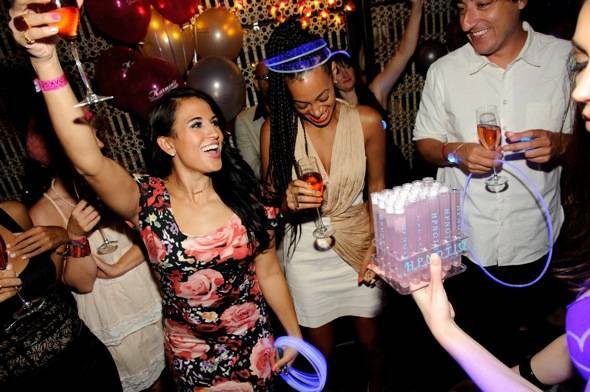 Also spotted dining and dancing at Lavo in celebration of her birthday was Nicole Scherzinger. Lo Bosworth, the author of the lifestyle book “The Lo Down” who rose to reality fame on “The Hills,” kicked off her sister’s bachelorette weekend at Lavo. The women feasted on favorites from the hot spot before heading up to the nightclub where they danced the night away. Solange Knowles on the red carpet at Lavo.